Free Shipping! Spend $50 or more on any retail order and receive free shipping. Offer valid in US only. 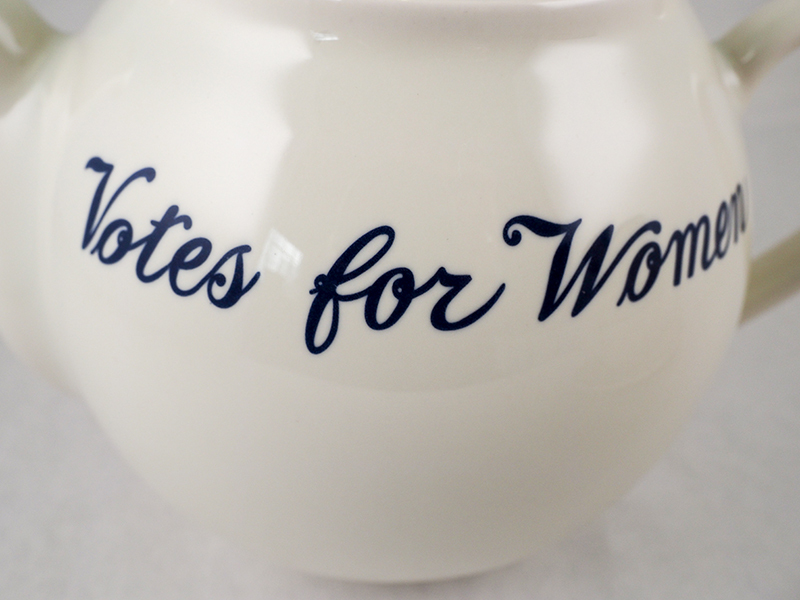 Channel your inner suffragette. 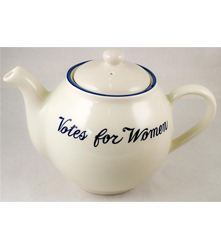 This teapot is a reproduction from the service used during the Votes for Women tea party at Marble House, Newport Rhode Island, in 1914. 6" tall. Teacups available as an option. 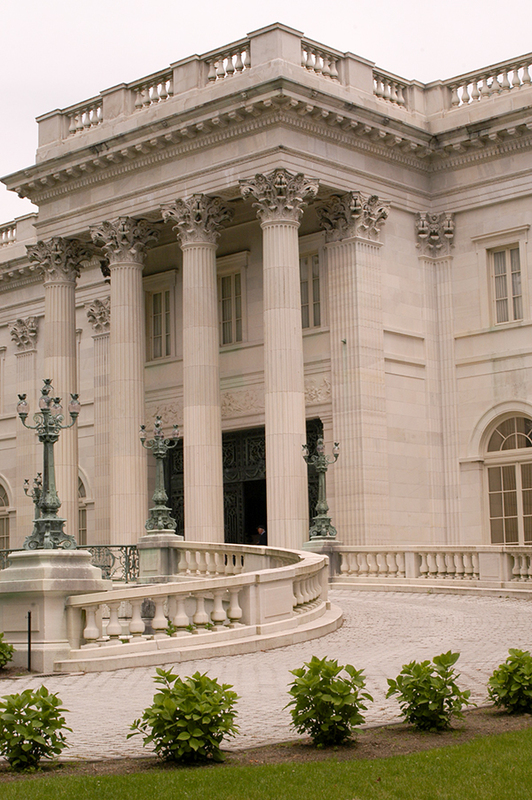 One of the legendary hostesses of Newport society was Alva Vanderbilt Belmont; she and first husband William Vanderbilt set the standard for grand homes on fashionable Bellevue Avenue when they opened Marble House in 1892 at a cost of $11 million. In 1913, Alva had a Chinese tea house constructed on her back lawn overlooking the Atlantic Ocean. The red and black lacquered building seated over 100 guests at fundraising teas benefiting her new passion, women’s suffrage. A year later, Mrs. Belmont hosted the Conference of Great Women at Marble House where she and her daughter Consuelo, Duchess of Marlborough, gave speeches to those assembled. 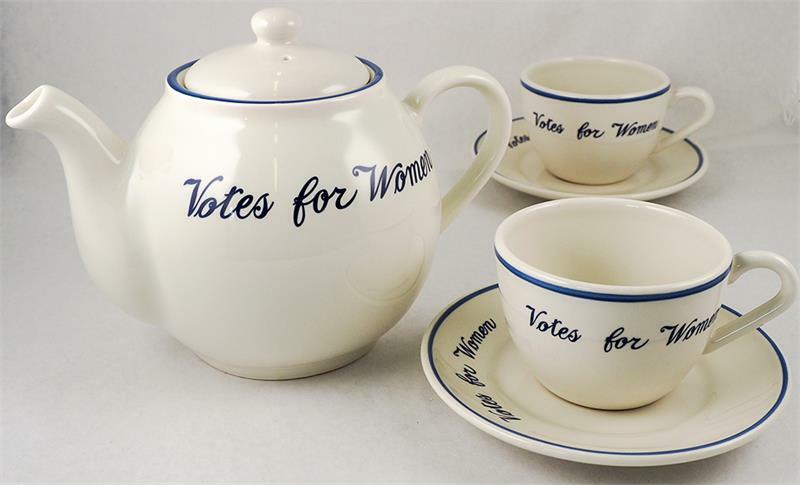 J. Maddock & Sons produced sets of porcelain tableware bearing the “Votes for Women” theme as part of a luncheon service for the event. The dishes were also used at a tea party held at the mansion in July of that year. 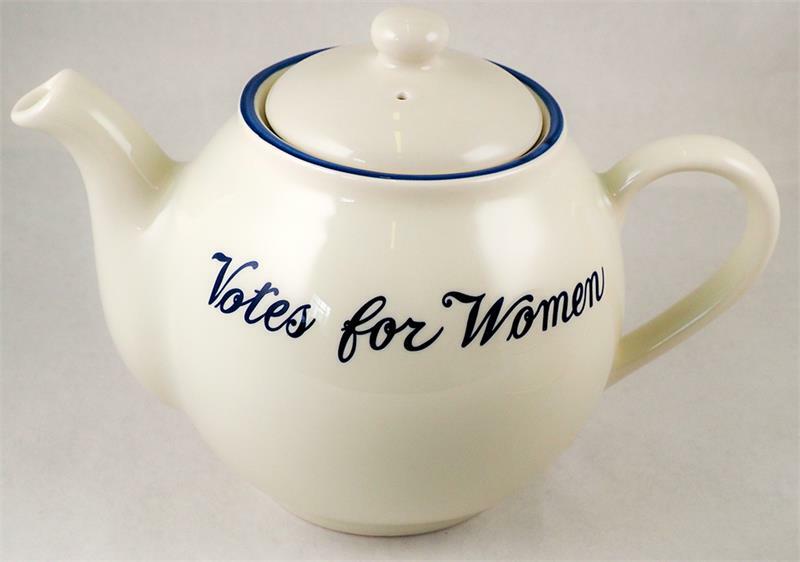 Both events raised money to support the suffrage movement, and guests received teacups and saucers of the china as favors. Join our newsletter today and be the first to receive all the latest news, event updates and promotional offers! ©2019 Elmwood Inn Fine Teas & Benjamin Press. All rights reserved. eCommerce Store Design by Solid Cactus.